The Guanacaste region, covers the majority of the Northern Pacific side of Costa Rica, and in December to May hosts a climate with no rainfall, heat and pure blue skies, earning the nickname the "Tropical Dry Forest". With plants and animals forced to adapt to the drought season, Guanacaste is known as "Cattle Country" and is also nicknamed the "the Texas of Costa Rica". With three quarters of Costa Rican cattle being raised there, Guanacaste has had a long history and culture shaped around cattle ranching. 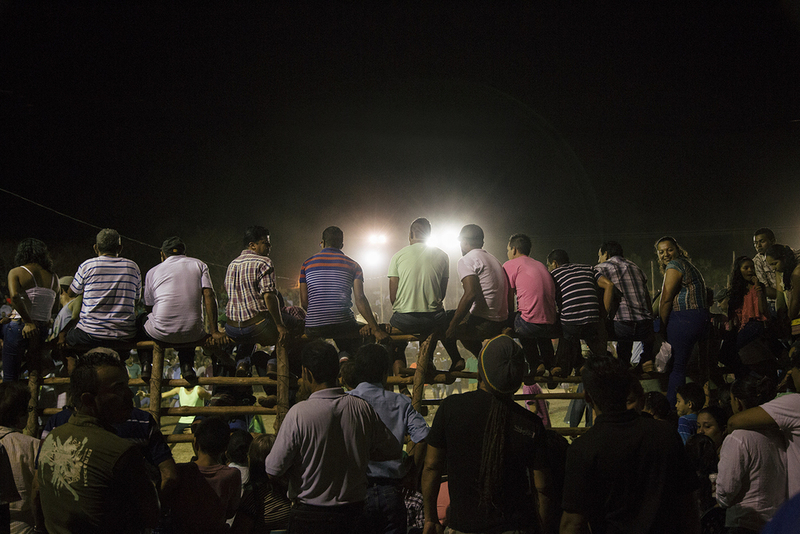 On a recent trip to the Costa Rica, we ventured one evening to the small town of Villareal, to take part in the local festivities of "Corridas De Toros" (a cross between bullfighting and a Texas rodeo). The sport dates back to the days of the first Spanish settlers, where sabañeros, or cowboys, proved how tough they were by riding on the backs of bulls. Unlike in Spain or Mexico, Costa Rican bullfighting has a more humane outcome for the bulls. Due to the large source of income cattle brings to the thousands of Costa Rican farming families, killing bulls for sport isn't practical. Rather, for pure entertainment, a sabañero slides onto the bare back of a 1,500 pound bull, and tries to hang on as the angry bull bucks and kicks. Like most North American rodeos, the show is over when the rider falls off, however, in Costa Rica this begins Act 2. One of the key differences you will notice is the large volume of people in the ring with the bull; a mix of rodeo clowns, other sabañeros and drunk people. Once the rider comes off the bull and scampers away, it is then everyone else's turn to try and get as close to the bull without being harmed, some even attempting to be as daring as touching the bulls horns. There is one rule: the bull may hurt anyone, but no one can hurt the bull. With the combination of commentary from the local announcers, mariachi music, and frenzy of people running in all directions in a Benny Hill like scene, it offers a unique and hilarious spectacle of Costa Rican entertainment and culture. After the courageous young men have had their chance to display their quickness and agility by running around the bull, others more just running for cover in the last second bull approaches them, the rodeo cowboys ride in on their horses to lasso the bull and bring back into the pen. Unlike the bulls who leave the arena unscathed and have full veterinary care on the sidelines, some humans are not as lucky. Each year over 200 people are wounded during the fights, and hundreds are hospitalized. The obvious danger, is most likely the very thing which increases its popularity, particularly amongst the youth. It is a chance to prove their coming of age. 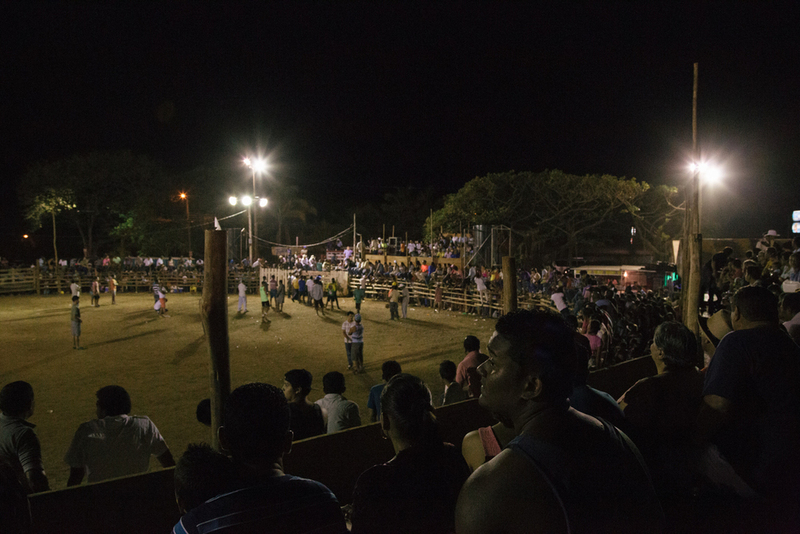 It is the dream of every Costa Rican boy to bullfight as soon as they turn 18, particularly in the Zapote festival in San Jose, considered to be the country’s grandest event and spectacle of bullfighting. Cattle farmers from all over the nation haul their bulls and gather at the capital, for the much-awaited celebration. My experience offers but a glimpse into the proud culture and spectacle of "En Las Fiestas de Villarreal". 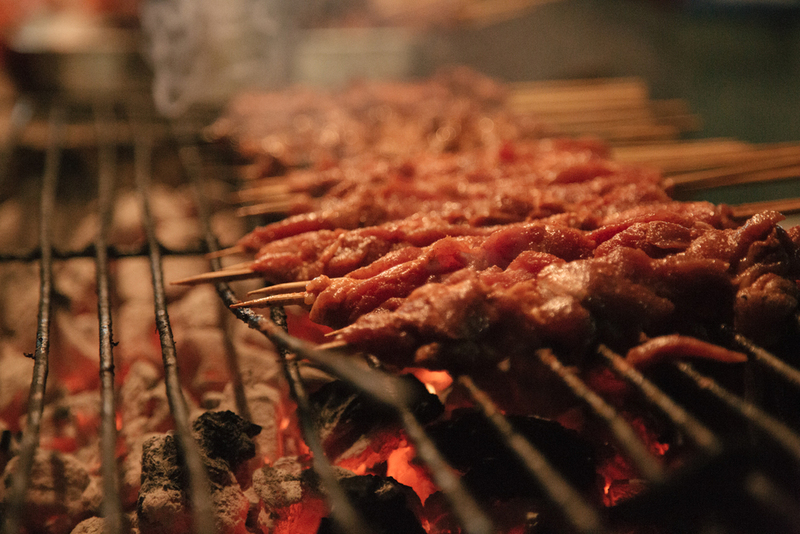 While the main event is the bull riding, the arena is surrounded by other local attractions, rides, bars, outdoor dance floors and more importantly the smell of barbecue, offering a buffet of carne asada, fried chicken, arepas, carnitas and arroz con pollo. 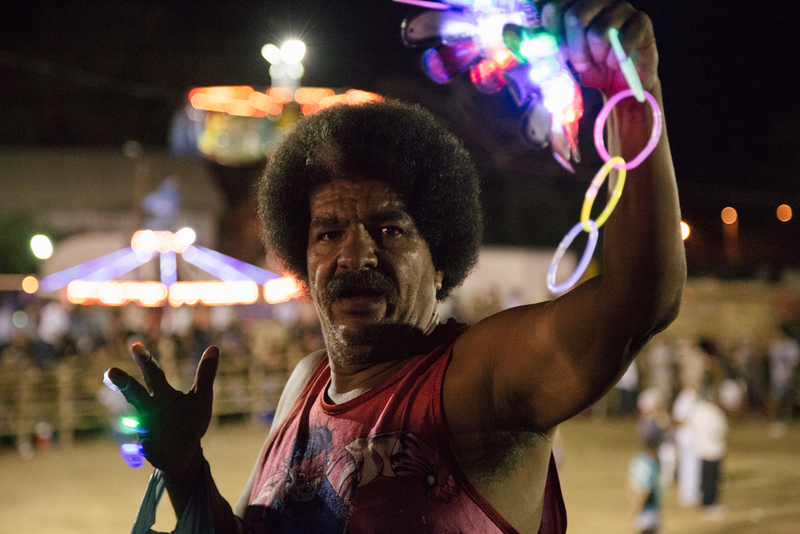 Similar to an American state fair, the festival offers something for everyone. 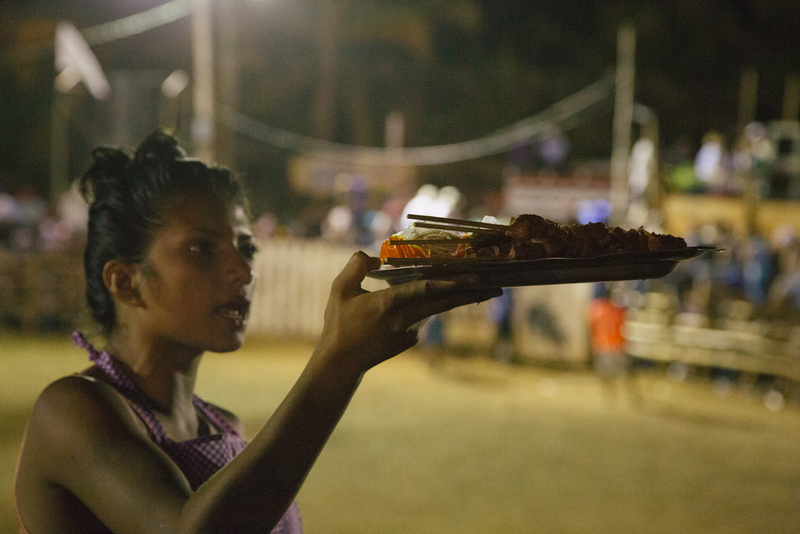 From the moment we arrived, it was amazing just to observe and photograph the festival as it was happening. As exciting and entertaining as the Bull Riding was, I found just as much, if not more, enjoyment observing the surrounding festivities and interaction with the local people. With sabañeros, ranchers, the brave agile youngsters, quiet observers, mothers and children and the very interesting vendedores selling food and merchandise in the stands, it was a spectacle rich with culture unique to the region. I would highly recommend anyone to partake if they desire a true local Costa Rican experience.